Includes a 4 pack of brand new OEM Mahle OC306 oil filters with 4 crush washers for all non liquid cooled R1200GS/RT/ST/S/R, K1200S/R/GT (2005 on) & K1600GT/GTL bikes. Also includes the correct STEEL oil filter wrench. These are OEM filters and the wrench will fit the OEM BMW filters as well as our Mann filters. BMW OEM part # for a single filter is 11 42 7 673 541 which retails for $15.36. BMW wants $75 for their filter wrench alone, save money with our kit! 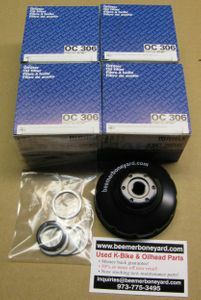 At times we may be out of stock on the Mahle OC306 filters. 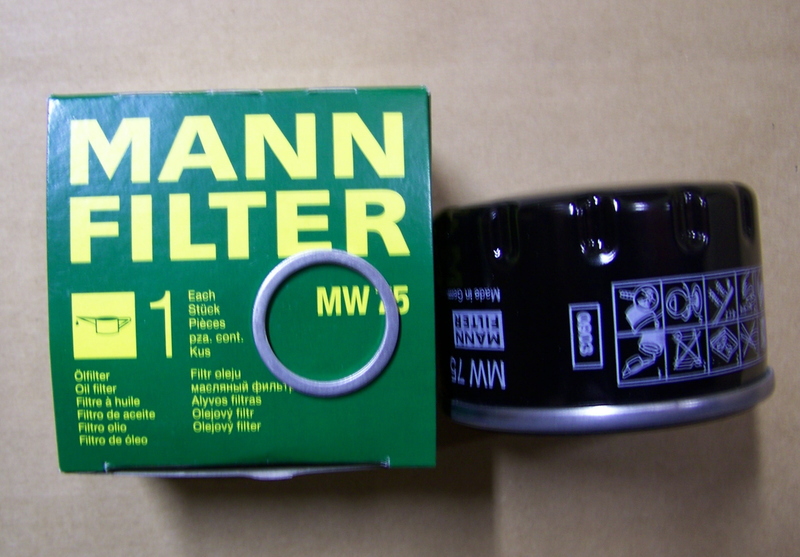 In those instances we will substitute Mann MW75 filters which are identical.